So Alpha1 stuff is boring? Not at all! OK, most often you’ll see it in cases like here where a tile-able Alpha1-texture of netting wire is mapped on some polygons. Looks good until you see it from narrow angles where you can notice the actual flatness. We Germans call this “Maschen-Draht-Zaun” and there was a very popular song about such a fence which accourding to Wikipedia sold on CD approx. 800.000 times! 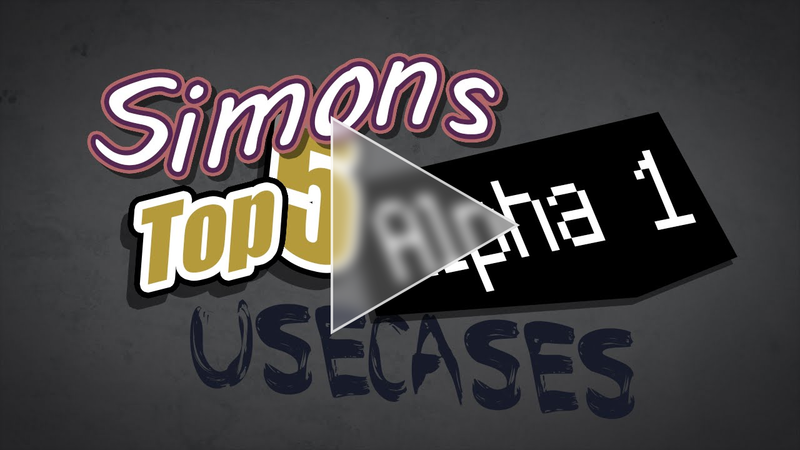 For today I collected five creative use cases for Alpha1! If you don’t think so or know even more awesome stuff, let me know! My guess is that they have priorities assigned to the different materials so that the renderer knows what comes first. Some artists might not know, but the BMP file format supports an alpha channel! Now an example which I like even more. Do you see what’s going on here? 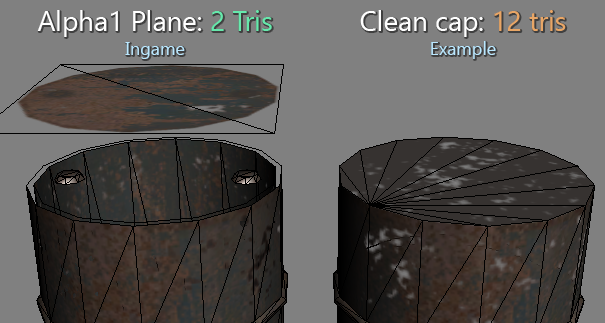 They use Alpha1-Planes to make the holes look round but in addition add some low-poly geometry to give the object thickness. Yes, you can see low-poly edges at the backside but the general impression is great in my eyes. 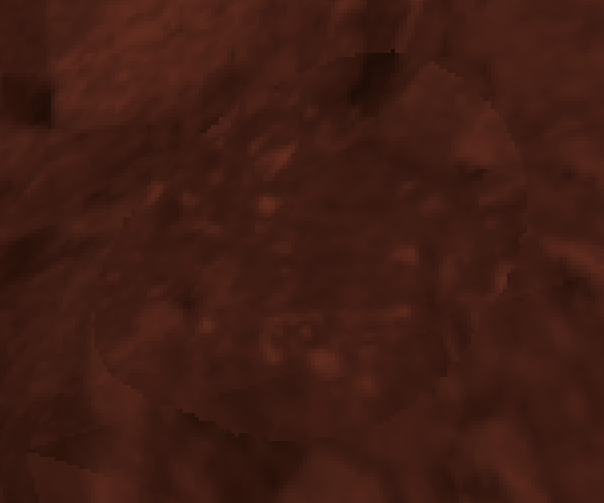 At a closer look you’ll notice that in most games barrels aren’t perfectly round. 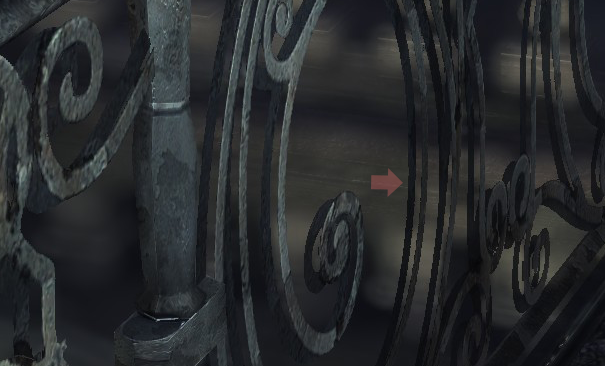 This holds true for Fallout 4 (look at the center of the barrel) but what’s that? The front looks very round! They hide the 14-poly-cylinder-angularity with a plane containing a round alpha1-shape. Might not be breathtaking but at least I saw something like this the first time. Also interesting: They don’t cap the ends like you usually would expect. 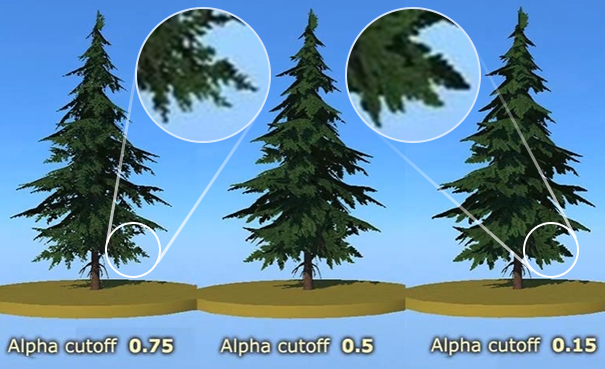 They use Alpha1-planes which saves some polygons and since all parts use Alpha1-materials (the walls have holes) there’s only one material/shader necessary. I’m not sure if this creates too much overdraw or if you can early discard the fragments for the “invisible” pixels but at least it’s an interesting approach. You may think: If we can only show or don’t show a pixel with an Alpha1-Shader then there shouldn’t be a need for grey values! That’s not true because of two reasons. 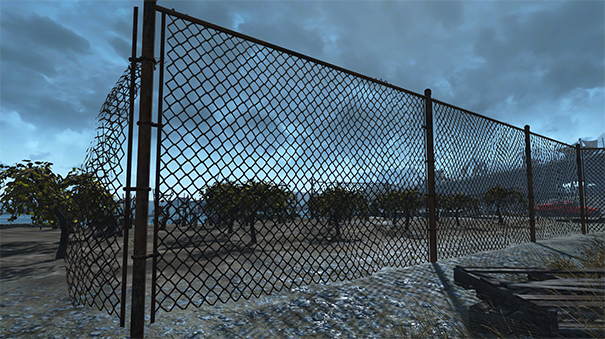 That’s why grey values can help even if the texture is only used for “binary” Alpha1. The second reason is even more interesting because you can use the threshold for creating great effects if you have grey values in your alpha channel! Let’s get to my favorite. It’s not #1 because of spectacular effects – it’s the other way around: It’s very subtle and I waited a long time to see a solution to this problem and expected it coming from tesselation, parallax occlusion mapping or other fancy techniques. …you can’t avoid that it looks flat when you look at it from the side. 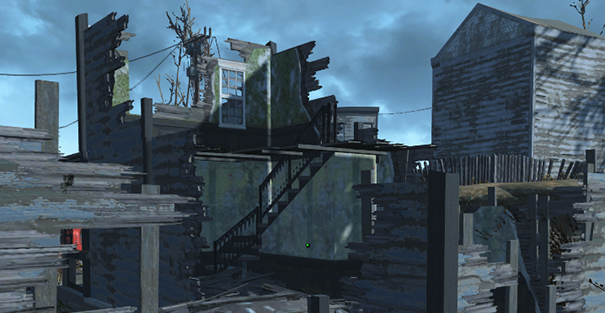 If you would try to do the Fallout-Trick by adding some low-poly geometry you would need to spend a lot polygons because of all the fine detail! 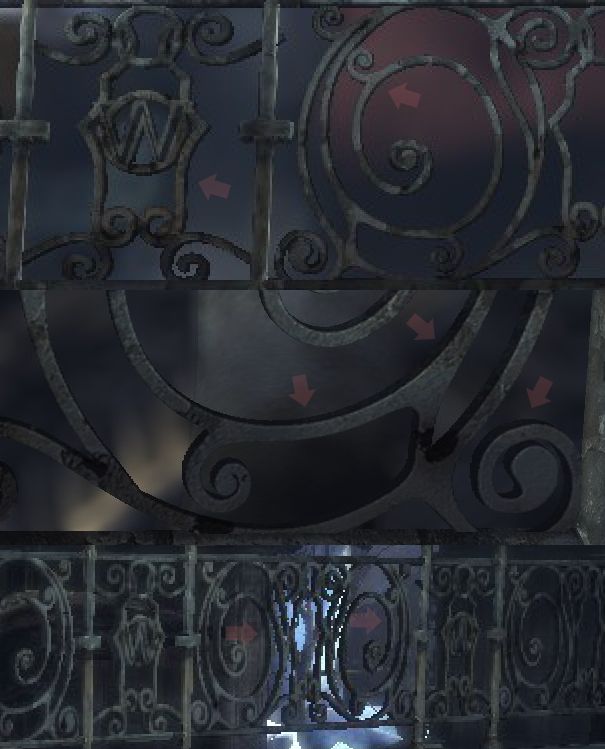 But why does the railing in Batman doesn’t look flat? It’s just two planes with a small offset and the perspective does the rest!! It’s like with many of these tricks: If you know them they don’t seem very spectacular anymore but I never thought about such a simple solution! Thank you for reading until the end! I hope you liked the article and if you know other cool Alpha1-tricks or suggestions feel free to get in touch with me. The guys from Alkemi have a great post about how they used some thresholding in their game Drifting Lands. Also their way how they create the textures at first place is very interesting. 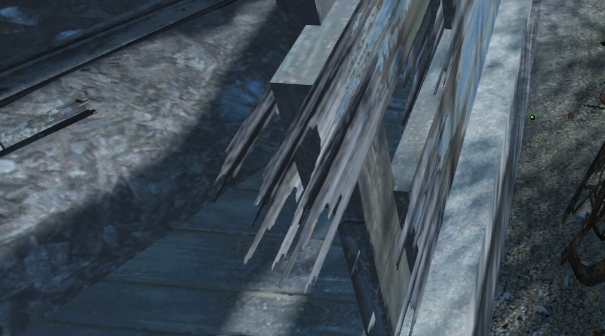 Maybe it was only funny in that situation but it’s kind of interesting that in on other areas of the game they have barrels with even seven sides! Maybe because they’re used in-door? This entry was posted in Game Art Tricks on 22. January 2016 by Simon. It’s combining this with gradient mapping you were talking about in the mushroom explosion article. I’ll add that we’re not really converting 8bit alpha to 1bit alpha but we’re just doing a level operation to convert ‘blurry’ animation data to harder edged shapes with still some kind of antialiasing! thanks for the link :) have to read it later because i’ve jump into a train now but i just scrolled over the article and wow … that looks awesome!! When rendering hard alpha (alpha1/alpha ref/…) you can actually do z-testing pretty cheap in the shader so it will be sorted on top in the right depth. As it’s a true/false check it still has quite good performance in comparison to soft alpha. I actually dunno it that’s state of the art right now. i saw this before and as great their solution is the less i can understand what exactly they’re doing. also other sources don’t explain that very visually :D i’ll see if i can find better explanations. nice to know :) thank you! Great stuff as always Simon! Great examples of using Alpha 1 and an excellent article. I’m looking forward to using this new knowledge in my own projects. I’m not sure if it’s alpha 1, but I thought the fur tech of Shadow of the Colossus was pretty neat. 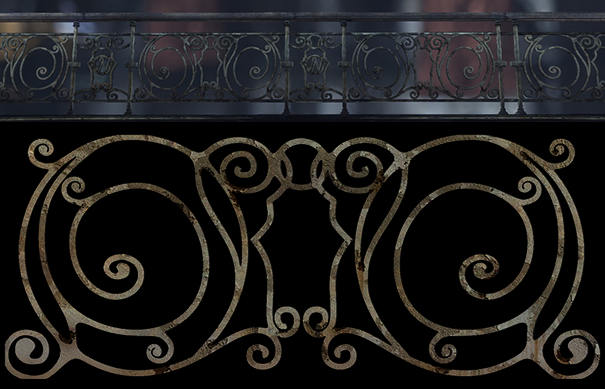 (Similar to your last example about railing thickness, but with many more layers for more parallax) It was interesting to see the same technique in Vivisector (but with 8bit alpha or something? ), but I guess the technique is depreciated nowadays since fur/hair can be simulated now. It's called alpha-testing because you usually use texture's alpha channel for cutting out stuff. 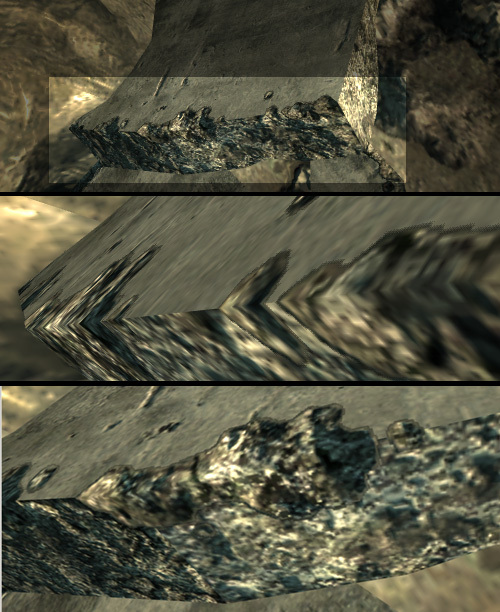 But you can use any texture channel you want or any data that it suitable (vertex color, position, whatever). Wow, thank’s for your explanation! Do you know the engine so well because of modding experience? I don’t know f4 engine but I’m a graphics programmer. Cutout geometry (aka alpha-tested) is a standard rendering technique whitch is shared amongs all directx and opengl engines (and Fallout engine is using one od it for sure).